WILL REFORM need to use the lifeboats? Chairman Philip Hacking’s description of the task of the working party presently in session as “checking where the lifeboats are” does not hint at the complex and daunting task facing the movement if it attempts any kind of structural disengagement inside or outside the Church of England. The chairman said the group was looking at the implications of being separated within the Church of England. Action would only be initiated if decisions were taken to formalise and legalise the ordination of practising homosexual clergy. Reform’s council will have a report-back in its hands by the autumn and the legal aspects of any move will have a high profile. Meanwhile rays of hope from the pressure exerted by Reform over its two-year lifespan seem to be emerging. Archbishop George Carey addressed the Anglican Evangelical Assembly in the strongest vein he has yet used, stressing the status quo re homosexuals and ministry was not about to be changed. Then the Assembly itself dropped its stridently hostile line towards Reform and is clearly attempting if not a rapprochement, then at least a defrosting of the atmosphere in which any debate takes place. Richard Bewes, chairman of the Church of England Evangelical Council which supports AEA, is acknowledged as the prime motivator of this welcome breakthrough. Reform members present noted the debate on Scripture between Reform council member Wallace Benn, vicar of St Peter’s Harold Wood, Essex, and Graham Cray, principal of Ridley Hall, Cambridge, shifted back a stage from hermeneutical issues towards the nature of Scripture itself. “The debate on hermeneutics has been conducted in conditions of very low visibility. If evangelicals can agree to insist once more on the authority of Scripture then it follows we may not play fast and loose with its interpretation” noted Roger Beckwith, of Latimer House, Oxford. A statement on Scripture is about to be issued by the AFA and a Reform leader characterised it as “the best agreement we have seen among evangelicals in twenty-five years”. This renewed hopefulness about a genuine coming together of evangelicals is certain to lead some Reform council members to sit less comfortably with others who want to press on down a “secession within” track. This tension could be very creative. Meanwhile, it remains to be seen how seriously anyone will take the bizarre – but logical from his theological viewpoint – statements of the Bishop of Edinburgh about adultery being in the genes. 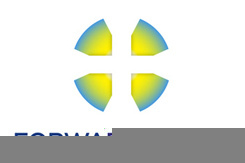 Tony Higton, rector of Hawkwell, Essex, and a member of the Reform council, has had a prayer campaign going for a year or move, via the ABWON movement which he founded, that God will bring out into the open the true state of the Church of England’s leadership to the point where the vast, dormant laity wakes up to the true reality of the spiritual decay and rottenness at the centre of the denomination. this is the Scottish Episcopal church’s horrific contribution to what seems to be a prompt answer to prayer.